Anyone familiar with the Missouri beef industry, knows the Show-Me-Select™ Heifer Program. In 2015, we started a new heifer classification in the Show-Me-Select™ Heifer Program, called Show-Me-Plus™. A Show-Me-Plus heifer simply has a genomic prediction, either reported as genomic-enhanced EPDs for registered heifers or genomic tests for commercial heifers. At the most recent board meeting, the board approved 5 additional products; now heifers qualify for Show-Me-Plus™ with breed association GE-EPDs, GeneMax Focus, GeneMax Advantage, Gelbvieh Maternal Edge, Red Angus Herd Navigator, Igenity Gold, Igenity Silver, Igenity Gold Angus, Igenity Silver Angus, Method Choice, and Method Commercial tests. In the Southeast, West Central, and North Central sales, there were 33 lots of 86 heifers that carried the Show-Me-Plus™ label. Below are the summary statistics for the 2015 Fall Sales, breaking heifers out by Tier II (sire identified heifer out of a proven AI sire), pregnancy, and Show-Me-Plus classifications. Table 1. Summary statistics from Show-Me-Select sales in Southeast, West Central, and North Central regions. As can be expected from the beef market trends, the average price was lower in 2015 compared to 2014. In 2014 there was a premium placed on Tier II heifers, meaning buyers valued information on the genetic potential of the heifer, i.e. knowing who her sire is. We also see a premium placed on AI pregnancies. In 2015, we again see premiums for heifers carrying AI pregnancies and Tier II heifers. But, we also see strong premiums for Show-Me-Plus heifers, ranging from $60 to $461. However, some of the premiums associated with Show-Me-Plus heifers could be due to the reputation of the consignor. To remove the effect of heifer consignor we fit a statistical model in which we adjusted for the effect of consignor, along with weight, number of head in the lot, pregnancy type, Tier I vs Tier II, region and buyer. In this analysis, Show-Me-Plus classification was fit as a random effect in which we predict its effect on price per heifer. 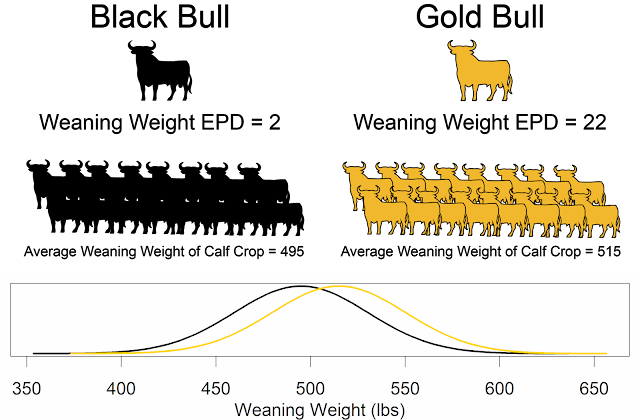 (Estimated breeding values and EPDs are examples of random effects common to beef producers; random effects are simply predictions in which we account for uncertainty.) Below are the predictions from that statistical analysis. I have been analyzing (i.e. fighting with) this data for about a month, trying to make sure I understand it and analyze it appropriately. Over the weekend I had additional ideas about how to look at the data. Previously, if consignor and Show-Me-Plus status were fit separately, all of the variation in price went to consignor. So, in the previous analysis, consignor interacted with Show-Me-Plus status. Early this week I fit a different statistical model, that I think is more appropriate. In this model Show-Me-Plus status and consignor are fit independently. But, consignor has a main effect and an interaction effect with year (year is nested within consignor). This gives more conservative, and I believe more realistic, predictions for the effect of Show-Me-Plus status. I also fit the data from all three regions and only those regions in which Show-Me-Plus consignors had sold heifers in 2014 and 2015. The prediction only using consignors who sold in 2014 and 2015 was more conservative (by $100), so that is the data I report here. Table 2. Predicted premiums for classifications in the Show-Me-Select Heifer Program. 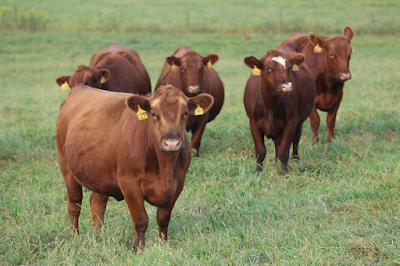 Again, in 2014, we see a premium for Tier II heifers. But in 2015, the premiums associated with being sire identified appear to have shifted to Show-Me-Plus classification. Regardless of year, we predict a $130 premium for AI pregnancies (consistent regardless of the way data are analyzed). Heifers with a Show-Me-Plus classification received a $406 $204 premium in 2015. Because random effects are predictions, I would predict in 2016 that we see about a $400 $200 premium for Show-Me-Plus heifers. If we only look at the Southeast and West Central regions, consignors who had Show-Me-Plus heifers in 2015 sold heifers at $133 and $165 above average (affect of Show-Me Plus status removed). They had the 1st and 3rd highest consignor effects. If we look at all three regions, the Show-Me-Plus consignors sold $30, $90, and $126 above average (the 3rd, 5th, and 12th largest consignor effects). If we do not include Show-Me-Plus status in the analysis, consignors of Show-Me-Plus heifers sold at $305, $244, and $218 above average (the 1st, 3rd, and 4th largest consignor effects. I believe if we looked at data from additional years (2013, 2012, 2011, etc.) we would see a larger effect of Tier II heifers. However, in the 2014 and 2015 data, being sire identified basically had no effect. In the current model, I did not adjust for buyer. We did not collect genomic prediction scores for the Show-Me-Plus heifers. Thus, the premiums are simply an effect of whether or not the heifer was tested. We would expect higher scoring heifers to sell for more money, but we have not collect the data to look at this in the Show-Me-Select program. Here is the part you need to be aware of as a beef producer, especially if you sell bred heifers. The return on investment (ROI) for a heifer with a high density genomic-enhanced EPD is 433% 167%. But, we know we should be testing our heifers with the low density panels, thus the ROI for a heifer with GE-EPDs is 789% 326%. Commercial heifers tested with available commercial heifer products have ROI around 900% to 1500% 400% to 700%. Let's say my estimate is off by $300, with a $100 premium and a $40 test, the ROI is 150%. Obviously, this is preliminary data based on a small number of heifers (86 Show-Me-Plus heifers out of 544 heifers sold in 2015). However, the results are very promising, and I look forward to gathering more data in 2016. So, once again I say, "You Would be Crazy Not to Test!" Thanks to Erin Larimore, David Hoffman, Zac Erwin, and Judy Burton for providing sale data and Jerry Taylor, Tonya Amen, and Michael Bishop for feedback on the analysis. *Note: Updated text in blue, old results struck through.